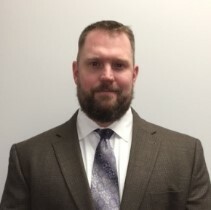 Bio Josh | Edelman Wealth Management Group, Inc.
Josh began his career in financial services 16 years ago focusing on retirement solutions for participants in 401(k) plans. Through his experience, Josh decided to focus his practice on providing individual advice tailored to each client. For the past 13 years, he has built his business by offering strategies to help his clients meet their financial and lifestyle goals. Through individual planning, Josh provides his clients with the highest possible level of attention. Maintaining objectivity and focusing on the ultimate goals of the family are the hallmarks of his practice. He received his Bachelor of Science degree from Bloomsburg University in 1999 and his MBA from LaSalle University in December 2008. Josh resides in Warrington, Pennsylvania with his wife, Larissa, and their five children. Outdoor activities dominate their free time.